Learn: Powerful mental tools to help you master tough subjects by University of California, San Diego on Coursera. Certificate earned on August 28, 2016”. That engagement prompted me to expand my summer reading, including A Mind for Numbers, by the lead course instructor, Barbara Oakley. I have appreciated the weekly emails suggesting other resources as well as the many titles included for consideration within the course sections. 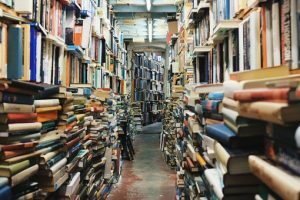 In addition to the summer specific titles, I am sharing a list of related books I have found helpful over the past couple of years. The list provides a hint of the explosion of published research and popular titles available on the topic of learning how to learn. Neuronal studies and educational theories turning into meaningful classroom and individual practice is promising. The challenge will be to incorporate into every school curriculum what is being established as best practices and to change the fixed mindsets and habits of students and teachers alike. Meditations (at least the Hays translation) is included as just a good book to have around. I have quoted Marcus and Aristotle often, as do many other people. For example, Aristotle’s “We are what we repeatedly do. Excellence, then, is not an act but a habit.” may be over 2,000 years old, but is increasingly being used in many contexts. If you have a title that MUST be included in this list, please comment. I know Barbara Oakley has another book coming out in the spring; and, since I have not as yet read “Moonwalking with Einstein, it is not listed.